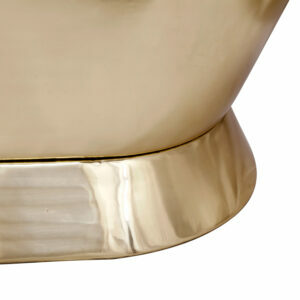 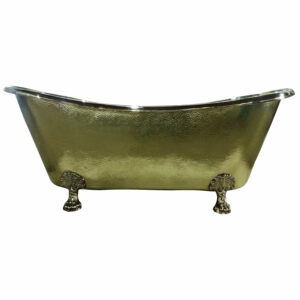 Made of a pure brass sheet. 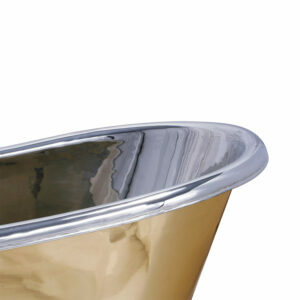 Nickel Finish Inside Brass Finish Outside. 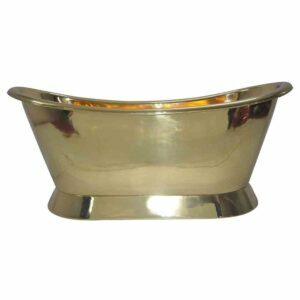 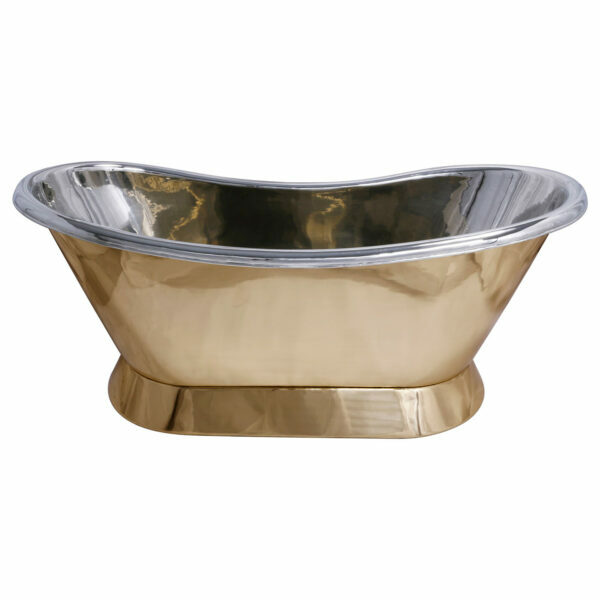 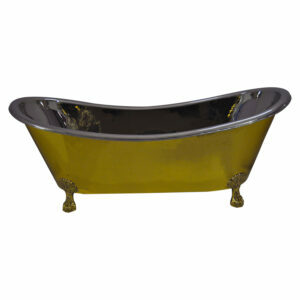 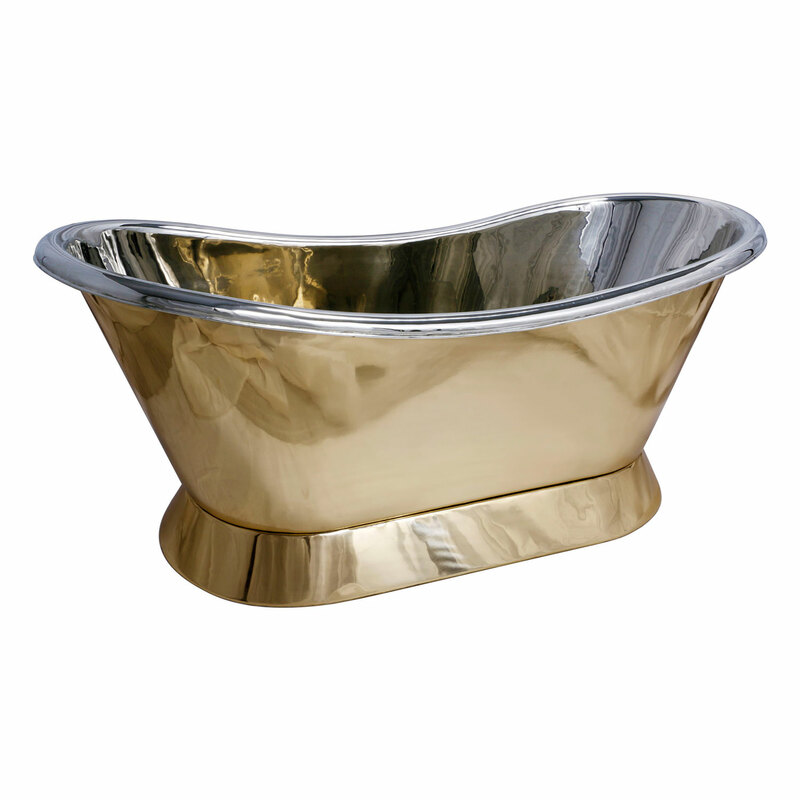 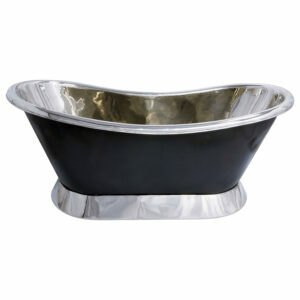 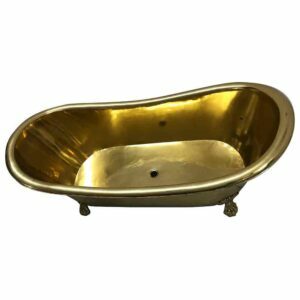 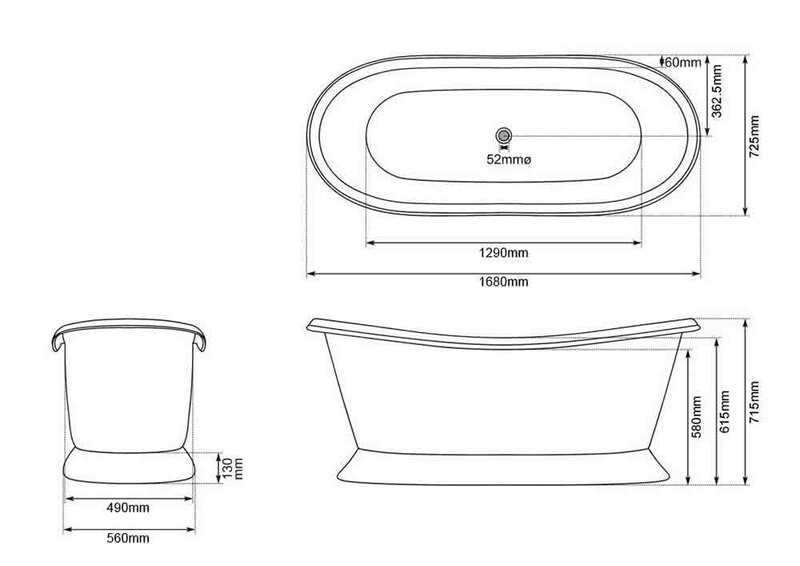 Pedestal Brass Bathtub Nickel Inside is an elegant brass bathtub with slanting pedestal style base design & nickel finish interiors.